800 Series Dual Heat Laminator - Recognition Systems, INC.
Dimensions: 89" x 38" x 32"
Install and Training are included. 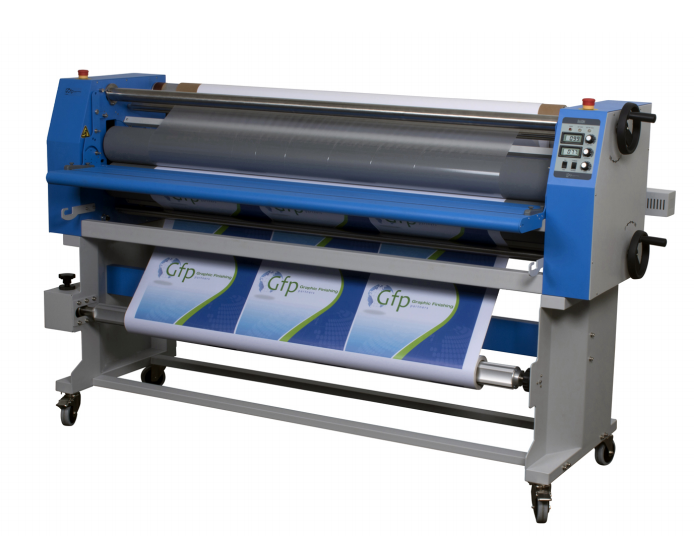 The gfp 865 Dual Heat Laminator is perfect for those who need flexibility, economy and much more all in one machine. It can produce many projects such PSA laminations, and mounting jobs quickly and easily. It is equipped with front and rear swing-out shafts for fast roll changes and a 3" Quick-Grip Swing-out Shaft for easy loading. It even has independent top and bottom heaters to give you the best lamination job. It can be applied to signs, posters, Dry-Erase boards, floor graphics and many more! 79" x 34" x 5"
​89" x 38" x 32"
75" x 6" x 5"